Management Training is for any individual with management responsibilities who wants to step up to the challenge of becoming a truly great leader. We offer several focused programs appropriate for all levels of leaders/managers. These can be delivered at your site for up to 20 individuals from anywhere in the organization or for intact teams; or participate in one of our public programs with members of other organizations. We can also custom design a program directly related to your challenges and your organizational culture. As organizations experience accelerated change, leaders at all levels must exercise great skill in building their own unit in a way that strategically aligns with overall direction. In most organizations, employees at every level must be able to effectively influence others over whom they have no formal authority. This is due to many factors including the complexity of problems to be solved, the fast pace of change, and the fact that knowledge and expertise are widely distributed throughout flatter, networked structures. 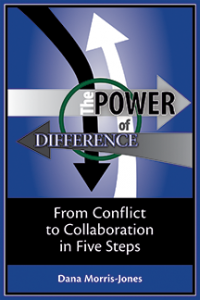 The Delphi Group’s unique 5-step model for resolving conflict in organizations has been taught in Fortune 500 companies, to Coaching Clients and Graduate Students and has been put to the test in real life situations with significant positive results.